I’ve never been much of a fan of hand dryers in public restrooms, and I still almost always choose paper towels if given the option, but these two hand dryers are about as good as it gets if paper towels are not an option. 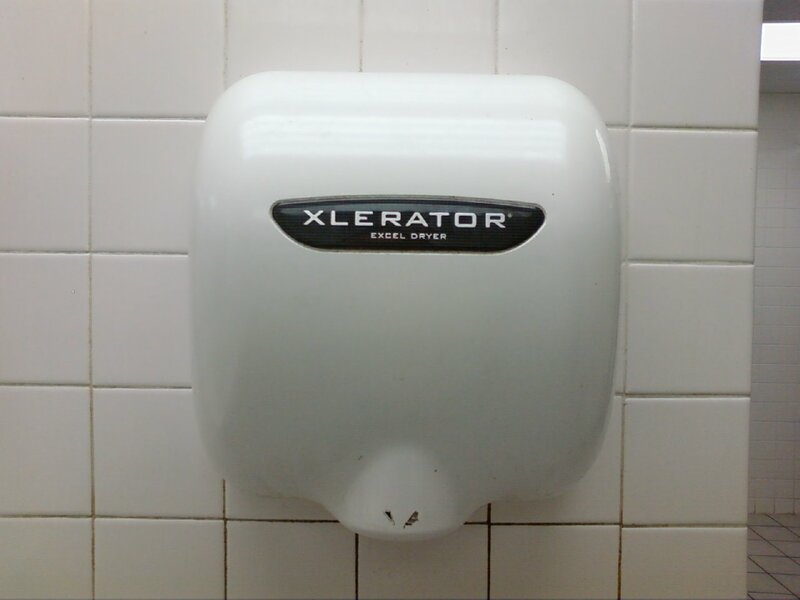 The Xlerator was the first hand dryer that I ever used that actually gets hands completely dry the first time. I’m pretty sure it could also be used to exfoliate your skin since it nearly blows the skin right off your hands. If you have ever wanted to see the skin on your hands ripple like the waves in the ocean, this is the hand dryer for you. This Dyson Airblade hand dryer is fairly new and cutting-edge as far as hand dryers go. Instead of placing your hands under the dryer, your hands are lowered into the dryer and slowly raised out. Fortunately for me, it has a picture on the dryer to explain how it works and is not nearly as dangerous as the name makes it sound. This is probably the coolest hand dryer I have used . Do you prefer paper towels or hand dryers? 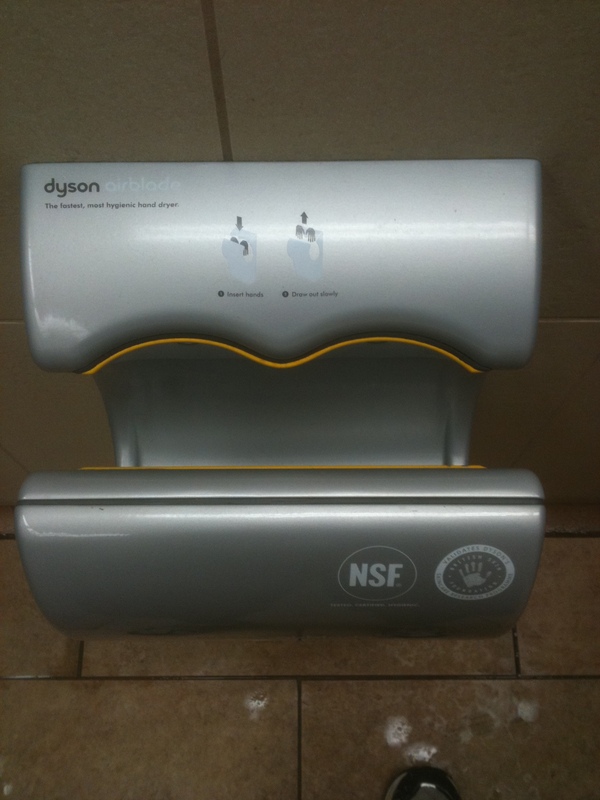 Do you have a favorite hand dryer or know of any others that the world needs to know about? 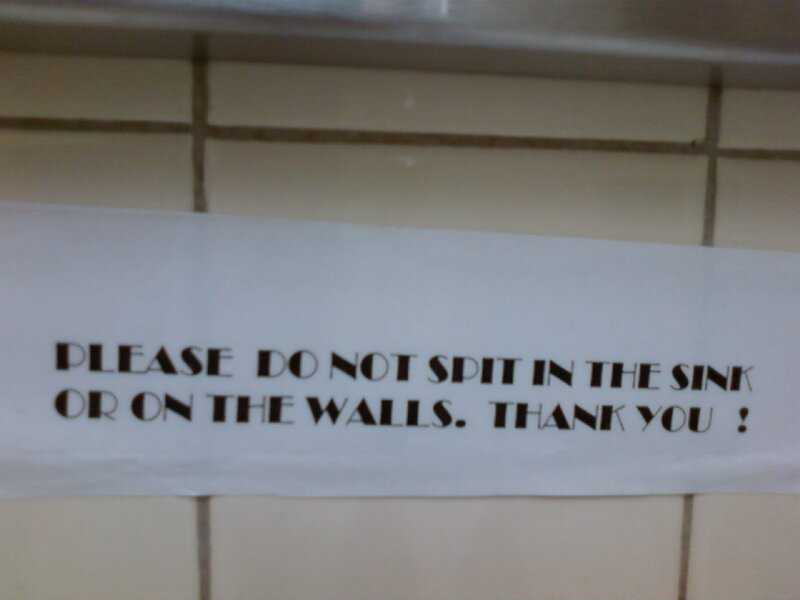 This may be is my favorite sign that I have ever seen in a church bathroom. 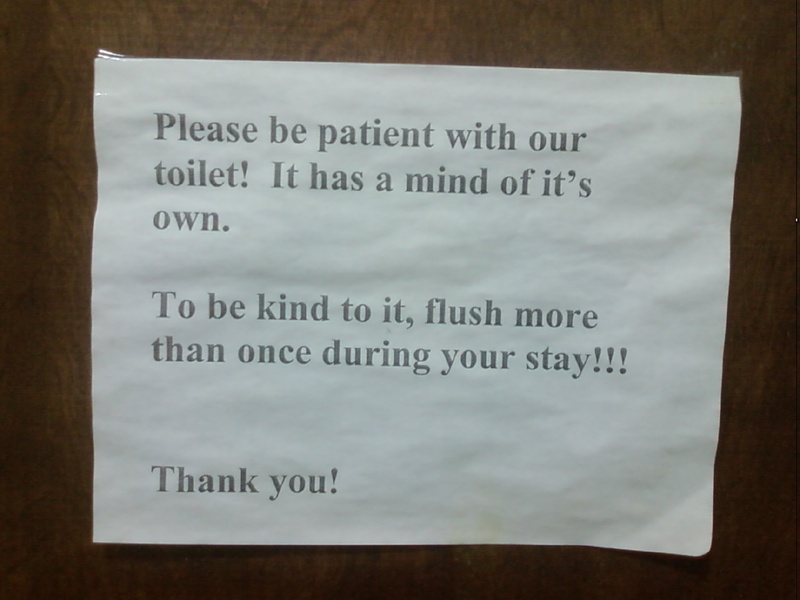 I think it makes a good point – we never really consider the feelings of the toilets we use. Without going into too much detail, I would say that most of what we do to a toilet would be considered fairly rude in any other context. Maybe it’s about time some toilets get a mind of their own. I just hope that they never get to the point where they can retaliate because they will be able to catch us in the most vulnerable of positions. This is in our bathroom at work, right in front of the toilet. Nothing like trying to do your business with Jesus staring at you from next to the cross. 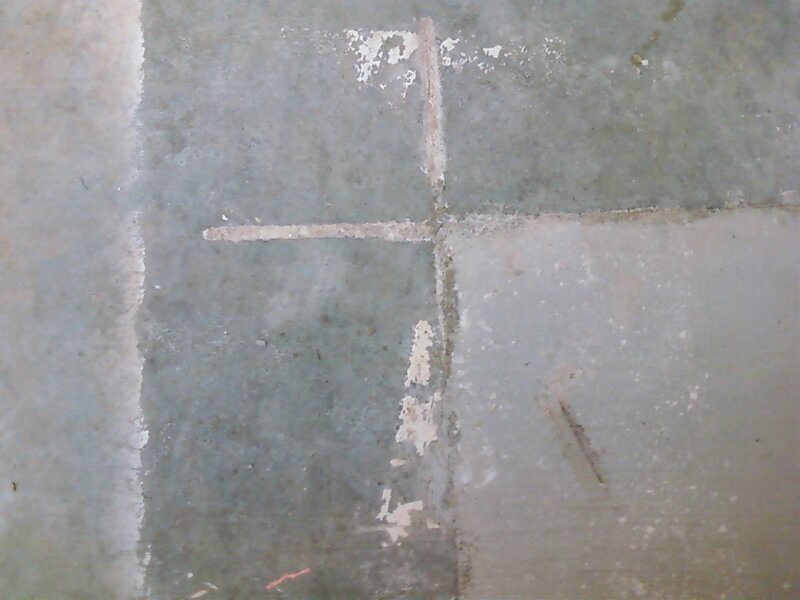 While I can see how it could cause some “stage fright,” I like to look at it as a reminder that no matter how crappy we are, Jesus is able and willing to wipe off all our crap and flush it away to a place where we will never have to deal with it again. What do you do when you are in a new place and need to use the restroom, but when you get to the door you can’t figure out if it’s a multiple or single person facility? Knocking is a good option if it turns out to be a single, but if it’s a multiple person restroom you look like a moron – especially to the people already inside. You’d think that just trying to open the door would be an okay idea since most people tend to lock the door to a solo when they are using it. Apparently not everyone grasps this concept though. I have, on multiple occasions, walked in on someone who was in the middle of doing their business because they didn’t bother to lock the door. Then comes the awkward semi-apology while staring at the floor and shutting the door as fast as humanly possible. Maybe instead of closing the door we should leave it propped open as a sort of penalty. Or would proper bathroom etiquette be to, if possible, lock the door for them before closing it? Just one time I would like to walk in, give him a high five, and pull up a stool or trash can to sit on and attempt to strike up a conversation. Whose fault is it when that happens anyway? People always seem ticked off or annoyed when you walk in on them, but shouldn’t they be the one to apologize for not locking the door? 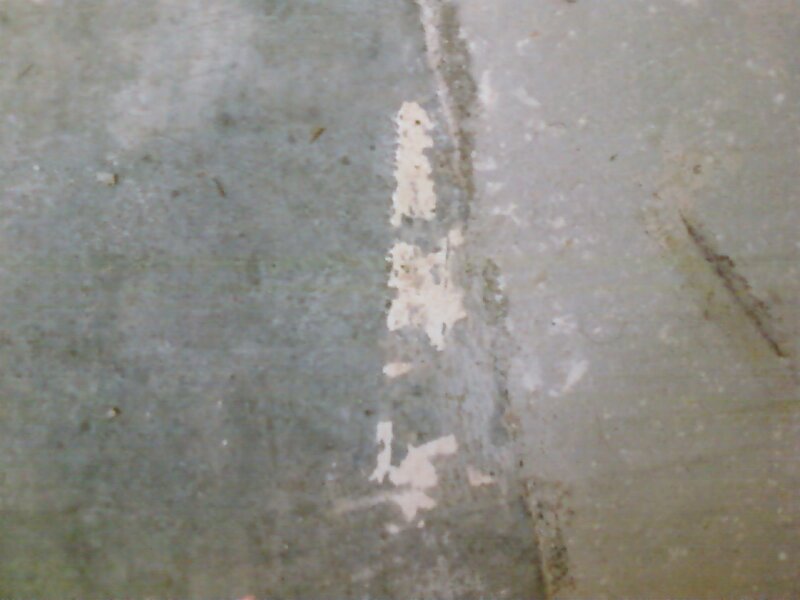 I think next time I will stand there and wait for an apology. After one of these situations you can’t possibly stick around and wait for them to get done so you can use the restroom. Talk about extremely awkward! Especially if you made eye contact when you walked in and then you make eye contact when they walk out. No thanks – I can hold it.